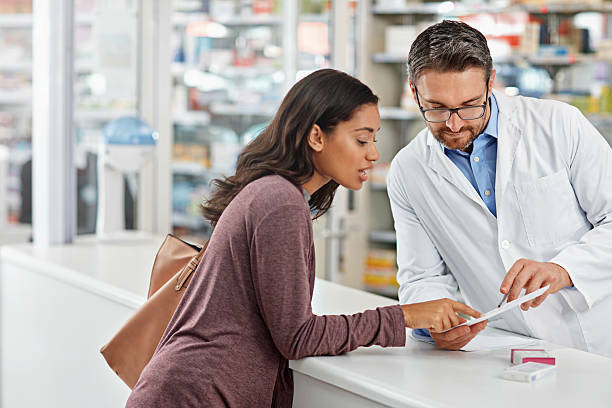 A question we hear a lot is, “How long does it take to become a pharmacist?” To practice pharmacy in the U.S., you must earn a Doctor of Pharmacy (PharmD) degree from an accredited pharmacy institution and pass a state pharmacy licensure exam. U.S. pharmacy institutions are accredited by the Accreditation Council for Pharmacy Education (ACPE). A degree in pharmaceutical science or related discipline will not prepare or permit you to practice pharmacy in the U.S.
How long does it take to earn a PharmD degree? The Doctor of Pharmacy (PharmD) degree program requires at least two years of specific undergraduate college study followed by four academic years (or three calendar years) of professional pharmacy study. Most students enter a pharmacy degree program after completion of three or more years of college. Are there any accelerated Doctor of Pharmacy degree programs? Institutions offering a three-calendar year PharmD degree program to students who have completed all college-level prerequisites for admission are listed in Table 1 of the Pharmacy School Admissions Requirements (PSAR). The information is noted by a Program Length of 2-3 and/or an Enrollment Option of Year-Round. Please contact the institutions directly for more information. I already have a degree in healthcare (or related science). Generally, a degree in a related discipline does not reduce the time it takes to complete the PharmD degree program. Applicants who have earned an undergraduate or graduate degree in a related field must still complete the entire pharmacy degree program (four academic years or three calendar years). Please contact the institution directly to determine if you are eligible for course waivers. I am a practicing pharmacist with a B.S. in pharmacy degree. Some pharmacy colleges and schools have nontraditional educational programs which award a PharmD degree to practitioners who complete them. Other programs offer practitioners the opportunity to enroll in specific academic courses or educational programs specifically designed to impart a defined set of practice competencies to practitioner/students. These latter courses are often called “certificate programs” because a certificate of completion is given to practitioners who complete the requirements of the programs. The following schools offer nontraditional PharmD programs and MAY also offer certificate or specific courses to practitioners. For pharmacy school contact information, use the PharmCAS School Directory. For more information on these programs, refer to PSAR tables 2 and 7. There has never been a better time for students to consider a rewarding career in pharmacy. The demand for trained pharmacy professionals has increased in recent years due to the rapid growth of the healthcare and pharmaceutical industries, especially for the growing elderly population. The number of pharmacists in healthcare services is also increasing as pharmacists become more actively involved in drug therapy management for patients of all ages. Apply to pharmacy school today!